Hamilton King Meek lived less than five years, but his influence is still felt in London, Ontario. His mother, Mary Elizabeth Meek, bequeathed $165,000 to Victoria Hospital to create a medical laboratory in her son’s name. The Hamilton King Meek Memorial Laboratory of Pathology was built in 1941 and has survived into the 21st century as a valuable medical research facility. King Meek also played a key role in establishing a public art collection for the City of London. In her will, Mrs. Meek donated a collection of paintings (including this portrait by Paul Peel) to a future public gallery. The Hamilton King Meek Memorial Collection still forms an important part of the Museum London Collection. 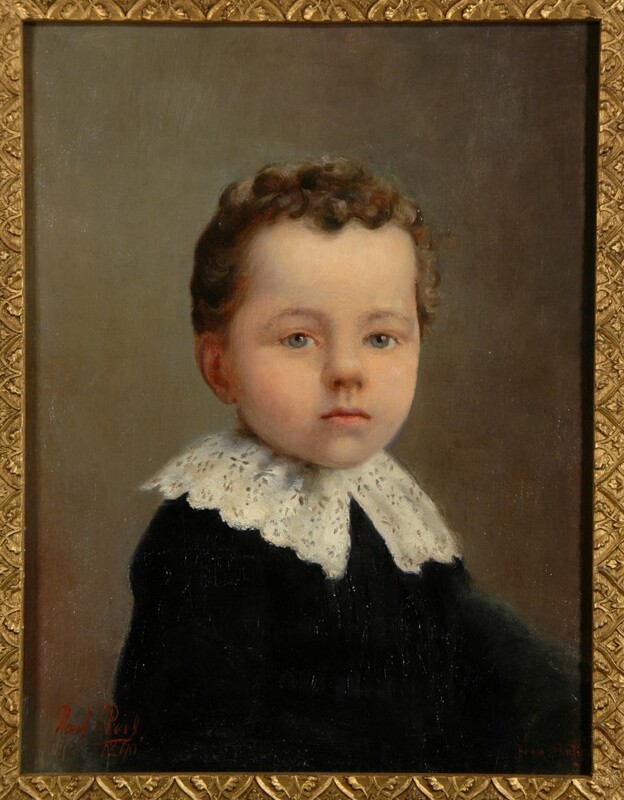 This portrait of a young boy was most likely completed during the summer of 1890, when Peel returned to London, Ontario to see his ailing mother. Peel would have relied on a photograph to do the commission, since Hamilton had died in 1889. It is difficult to determine how much of the portrait’s gravity has to do with the fact that Peel was working posthumously. The rosy complexion and vitality of spirit that mark so many of Peel’s portraits of children are certainly absent here.